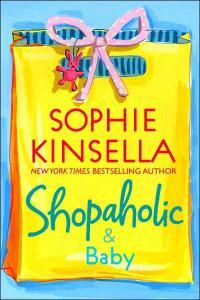 You’ll find no bigger Sophie Kinsella fan than this girl right here. I have loved every book I’ve read of hers, especially her Shopaholic series. So when I was able to early read this book, my excitement knew no bounds. I was ready to jump into this crazy, hilarious world of too much shopping and too much laughing. Because Becky Brandon (née Bloomwood) is back in all her stylish glory and this time she’s heading to Hollywood! Luke takes on a celebrity client, and moves the family to Los Angeles, temporarily. And while Luke’s focus is on learning the ins and outs of managing a celebrity, Becky is seeing stars. She’s ready to lunch with the who’s who of Hollywood, ready to hit Rodeo Drive, ready to talk films, fashion and the latest must-have handbag. In a new city that thrives on yoga, working out, clean mind and body, movies, wheatgrass smoothies and fashion, Becky finds herself immersed in all things LA, especially when she runs into a shoplifting celebrity who happens to be the nemesis of Luke’s client. And as fate would have it, an old enemy shows up to make things even more difficult. As her world begins to spiral out of control, Becky faces her challenges with irresistible wit, unfailing positivity and her infamous shopping cure-all attitude. Becky… being Becky, works hard to land a celebrity client… which of course means shopping, shopping and more shopping. And shopping undoubtedly leads to secrets, which she of course keeps from Luke as the complicated becomes more complicated. Soon, she finds herself making some bad choices and ostracizing the people who love her the most as she pursues her dream to be a stylist to the stars. I so enjoyed the book. I laughed out loud so many times. 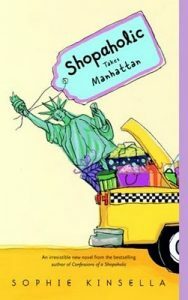 But there were a couple things that kept this from being my usual 5-star shopaholic review. One, there were a number of different story lines in the book and not all of them were resolved. It felt as if too many issues detracted from the primary plot. And secondly, after six books in, I wanted to see Becky evolve a little more. Perhaps it’s that I’ve read too many of these books and seeing Becky fall into the same old traps repeatedly bothered me. I expected to see more character evolution across the series even though I certainly don’t expect Becky to lose the tendencies that we’ve grown to love. I just wanted to see more learning from her mistakes. 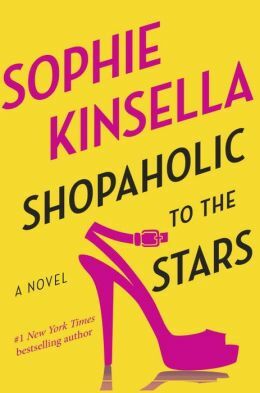 I will continue to read more from Sophie Kinsella, whose keen mastery of romantic comedy enlivened by witty dialogue and enchanting characters, always leaves me feeling happy long after the flip of the final page.